The Association of Tea Bloggers and the good folks at Adagio recently partnered, and they were kind enough to send me a sample of their Pi Lo Chun tea as part of the Adagio Roots Campaign. The campaign features the stories of the actual farmers behind the tea and the entire story of how tea is grown and produced. Green tea from the Jiangsu province of China. 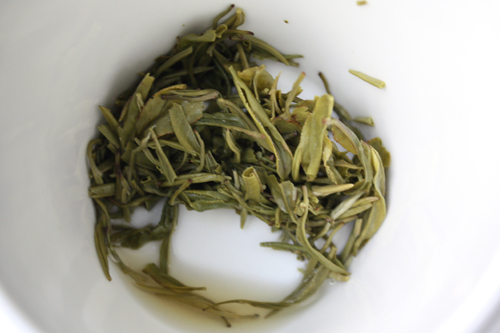 Pi Lo Chun (sometimes written biluochun) is made from the finest tender buds, gathered and processed exclusively by hand. Perfumy and sweet floral, with a full body and slight earthiness. Lingering, aromatic finish and interestingly floral-smoky. Pi Lo Chun is known for having a very distinct character; you’ll find ours to be quite friendly to the palate and savory. Enjoy! 1 heaping teaspoon per cup. 2 minutes at 180F. I also appreciated the tea farmer’s interview response on how the tea should be best enjoyed. The dry leaves are curly and fine, a light tumble of silver and green. It’s clear that this tea is packed with lots of leaf buds and new leaf tips from the fuzz which is present throughout the dry leaf. The smell is faint with a pleasant grassiness. I can certainly see why the tea farmer recommends steeping this tea is glassware. As it steeps, it glows a luminous spring green. The leaf bud tips almost seem alive as they twitch and unfurl in the hot water. The transition happens quickly during the 2 minute steep. In a short time, the leaves progress from delicate, silvery curls to bright, plump young leaves. The aroma, like the dry leaves, is faint but slightly sweet. It doesn’t give off the grassiness that I expected, but instead a very pleasing earthiness. The liquor is pictured a bit dark, but it’s a bright gold. The taste is excellent. This would be a great tea to start off with as far as green teas go. 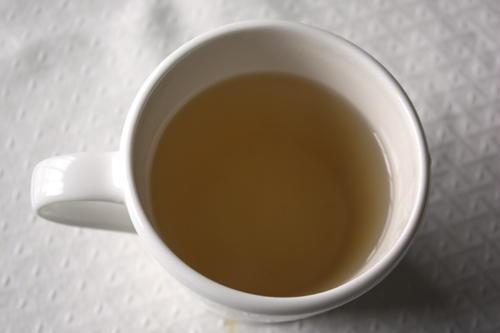 My biggest challenge with green teas is that they’re either watery and somewhat tasteless, or they come off too strong and bitter. This hits right in the sweet spot. 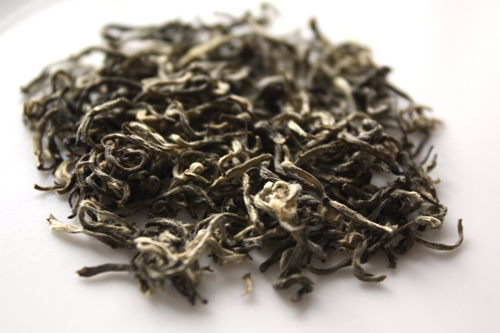 It’s a robust tea with a full body, and is buttery and smooth without any hints of bitterness or astringency. Well done to the farmer for creating a wonderful, well-balanced tea. It’s quite interesting that this tea is strikingly different from the earlier Bi Luo Chun which I tried from the same region. In comparison, they almost look like different teas. Here’s a link to my earlier review. As far as personal preference, I like this one from Adagio a bit more. The key differences are that this tea is markedly less fuzzy and the liquor is considerably darker. This results in a stronger, more robust flavor, and deeper color to the brewed liquor. If you prefer a greener, light tea then I’d suggest trying the other version. Overall, a wonderful and flavorful tea to relax with. Definitely one of the better green teas that I’ve had in a long time. The Pi Lo Chun tea is grown in Dongting, Jiangsu by a farmer named Huang Jian Lin. 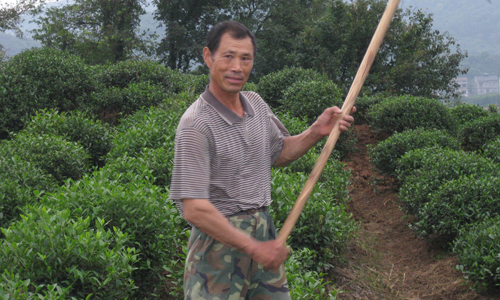 Huang has been growing tea since the age of 20, and has been doing it ever since. I’m not sure where the Tongting Lake he references in the interview is, but I did locate Lake Taihu which is bordered by the Dongting Mountains in Jiangsu Province. You can purchase this tea from the Adagio Teas website at $7 for 2 oz. They also have a sample size and larger size available.